The Long Arm Rental Class is $75 per person and includes a hands-on class, plus two free hours of Rental Time at the first scheduled Rental. 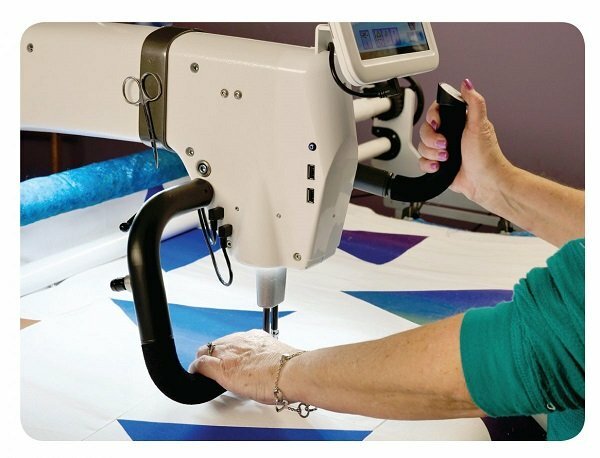 In the class you will learn how to load your quilt and the basics of using the machine, and how to work within the Spring Water Designs Longarm Rental Program. After successful completion of the class you will be able to schedule rental time on either of our two HQ long arm machines that we rent out to free motion machine quilt your own quilts. Learn more details about our Longarm Rental program Here or contact the shop with any questions.